Truck Dispatch is a great job and full of all challenges. I work in the Industry for more than 8 Years I started my journey when I quit my old job as a Freight Broker. All my experience was doing sales getting Shippers and working with all king carriers Dry Van, Flatbed, Reefers and Sled Deck logistics is been part of my life because I learned how to deal with all kind of mental stress and the most important deal with People. Communication, integrity, and responsibility is the key of success in this industry. Truck Dispatching is a big puzzle that it needs to be put together and my puzzle is done. I put it together. I work both Shipper and Broker's pays the most high rate and I am working with Carriers who have great new trucks and equipment and the most important thing great drives As a truck dispatcher is my duty to work together with Shipper, Brokers, and carries at the end of the day the job gets done. This job is been very tough but not impossible been consistent is important. I am out of my bed and around 430AM my alarm clock goes On is hard sometimes to be up the early but I think of all the drives and also I think of all the people I have to answer and all the bills I have to pay life is not easy but someone has to do it being truck dispatcher is not east buy I love what I do and I do it with a smile. All the rate and freight are different every day and lot's of challenges but there is no problem without a solution. You need Cash Flow For your Trucking Company. True story is that there's a lot of owner operator working for companies, if you are one of them take few minutes and read it, it will change your life and make more money why working for someone when you could do it on your own and choose your loads and make as much money as you want and will help you get pay in 12 hours after you delivered load Transwest Capital. if you run trucking, you're no stranger to challenges. Finding well-paying loads, compensating drivers, and paying for fuel are just a few. But one of the biggest challenges trucking companies face is the availability of cash flow to keep your operation rolling. That's where we come in! TRANSWEST CAPITAL will put an end to your waiting games. 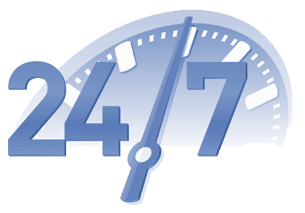 We save you time and money by speeding up your cash flow and increasing your provability by getting you the cash you need, when you need it. Whether you manage a fleet, or you are a fleet of one, you've got enough on your hands without the hassle of complicated paperwork and cash flow. 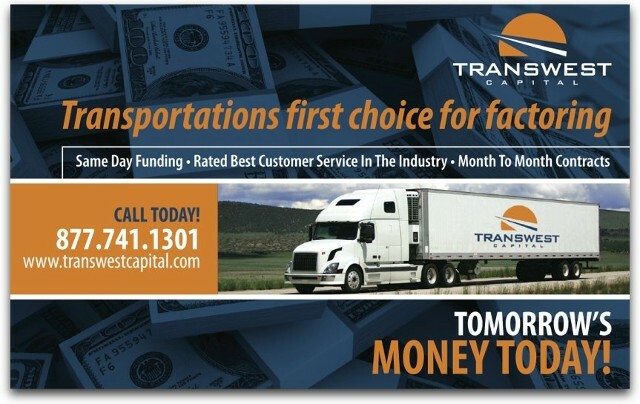 There's a reason that trucking companies choose Transwest Capital as their freight bill factoring company. That reason is because we care. We genuinely know the trucking industry and put forth a concerted effort to provide truly professional services to both you and your customers. But our services don't and there fully staffed back office support team. Our experienced staff provides full administrative support including credit management, invoicing, collection, account reporting, expense reporting fuel card management and much more. Ready to end your cash flow problems and start maximizing your profits.